In commemoration of the first large shipment of coffee beans to Japan on January 9, 1967, the Association of Japanese Importers of Jamaican Coffee (AJIJC) has made a motion to the Japanese Government to celebrate January 9th of each year as ‘Jamaica Blue Mountain Coffee Day’. This motion has been sanctioned by the Japanese Government with the first such celebration to commence on January 9, 2019. In celebration of this auspicious day, JACRA has formed a collaborative bond with Jamaica Promotions (JAMPRO) and the Jamaica Coffee Exporters Association (JCEA) to have a series of promotional activities in support of the event. Some of the activities leading up to the day includes radio and television Interviews, press conference/launch, newspaper publications and establishing a presence at both the Norman Manley and Sangster International Airports on January 9, 2019. 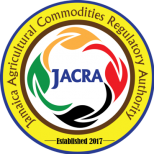 We therefore urge all citizens of Jamaica to enjoy a cup of Jamaican Blue Mountain Coffee on January 9, 2019.